A series of seminars and workshops led our final delegates through a process of understanding the necessary steps to take their business to the next global level. When it came to Pitching to join us on the Mission to Hong Kong, participants had developed a level of cultural awareness, a keen understanding of their unique business offering and a necessary level of readiness and confidence to venture off shore and represent their brands in new markets. It's hard to believe the Mission has been and gone with all the months that went into planning and preparing for the event, but we are so pleased with the outcomes. 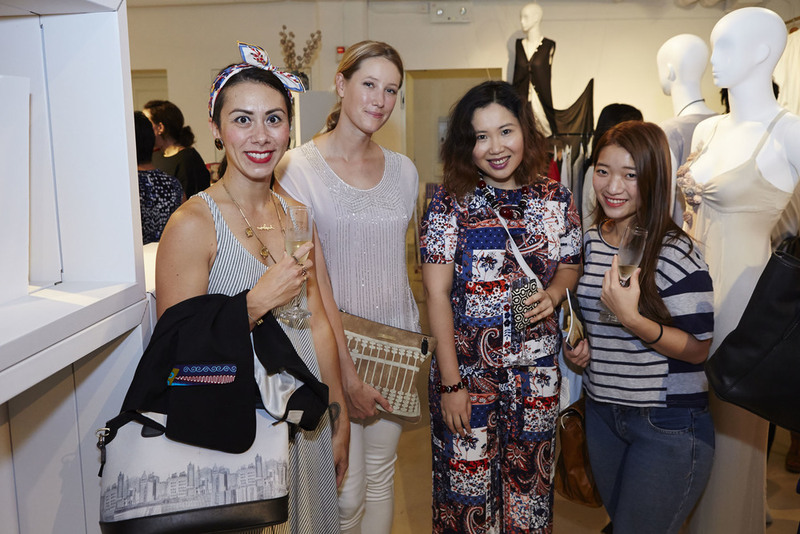 Throughout the week our Australian Fashion Brands were involved in showcasing their work in the Common Threads Showroom at The Fringe Club in Hong Kong's bustling Central district. After a whirlwind set up (and a few paper cuts) our team was ready to launch the event to government, industry, media, buyers and special guests. The two days that followed saw appointments with buyers including Lane Crawford, Ordre, Harvey Nichols and many more. There were networking events in the evenings and visits from all manner of guests during the days. Later in the week we were welcomed to tour Hong Kong Polytechnic University's Institute of Textiles & Clothing and see all that they offer to their textile and fashion students in this world class institute. Following this, we visited HKRITA and were afforded the opportunity to meet with CEO and generally inspiring individual, Edwin Keh, who shared with us an overview of research and development currently taking place in the area of textiles and fashion. Keh describes himself and his team as "the nerds of fashion" and is clearly very passionate about the work that they do. It was impressive and inspiring to see the advances and innovations happening in this sector in other areas of the world! We also braved the heat and humidity to venture to Sham Shui Po and explore the array of themed streets selling fashion components, fabrics and accessories. The week was huge. No doubt we left our Brands exhausted, but also we hope, a little more experienced, inspired and engaged in the next steps forward for their businesses. Stay tuned for future activities & opportunities as part of this valuable project! 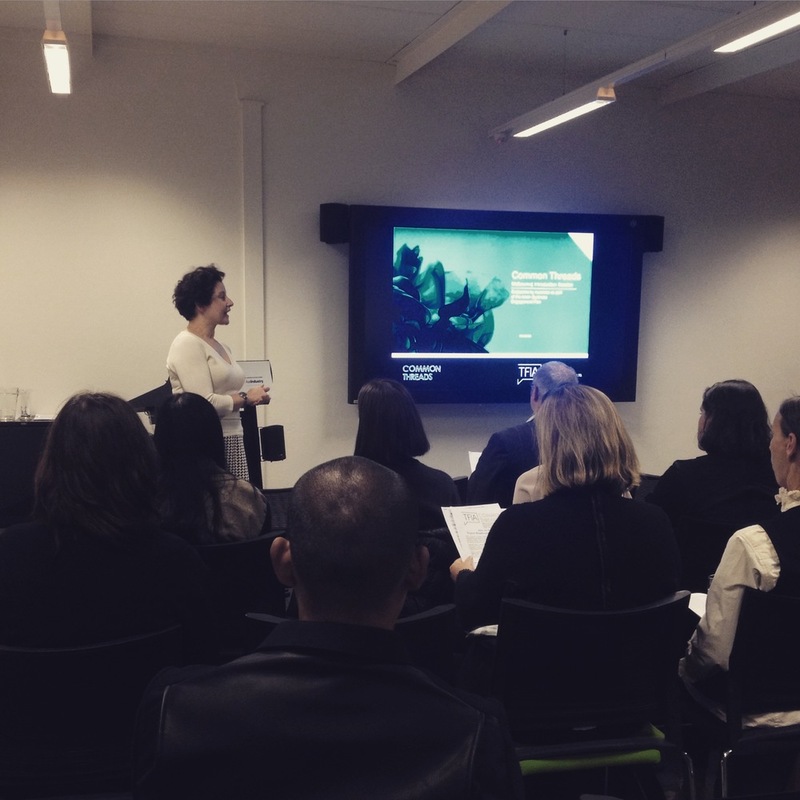 TFIA's Common Threads Export Project - supported by Austrade as part of the Asian Business Engagement Plan - kicked off last week with Introductory Sessions in Sydney and Melbourne to articulate the overall goals and potential outcomes of the Project. Many thanks to all who attended these sessions! In Sydney we were joined by Paula Rogers, who offered many valuable insights supported by her extensive experience working in and with Hong Kong from the Textile, Clothing and Footwear (TCF) sector. Rogers articulated the importance of establishing networks as a starting point, on social and professional platforms like LinkedIn, as well as face to face where possible. The importance, of course, being to make authentic connections with others in the industry rather than empty reaches and grasps. These foundations will assist you immeasurably as you begin to broaden the reach of your business beyond Australian shores. Roger Ouk joined us in both Sydney and Melbourne to share his experiences in Hong Kong with his own label, Thyvane. Ouk sees Hong Kong as, "a place full of extraordinary people, where extraordinary things can happen," if you have the right product and create the right opportunities. 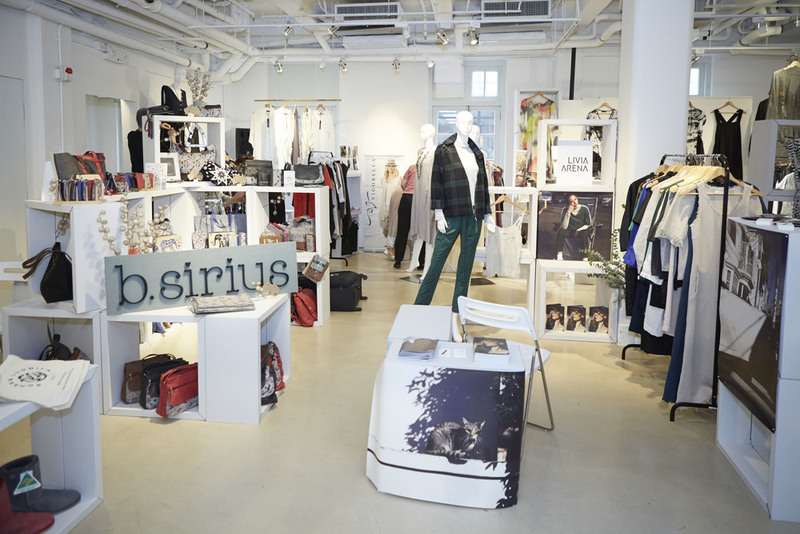 Identifying the Hong Kong consumer as, "sophisticated and spoiled for choice," Ouk maintains that this results in a fluid market that is always looking for, and open to, new ideas, concepts and products. He sees Hong Kong as a central hub for a diverse and ever-changing population of internationals. Thanks to this, Ouk suggests that being stocked in the right places in Hong Kong will allow your business broad exposure like nowhere else. Rogers agreed with this sentiment identifying Hong Kong as a potential gateway market to all of Asia. In Melbourne Craig Malcom, Trade Advisor from TradeStart & Ai Group, shared many practical insights around preparing your business for export to Hong kong. He stressed the importance of local and global awareness around your business activities and suggested, "thorough consideration about your competitive advantage. Think about how exporting will affect your local market share and uptake. Because it will, in one way or another." Malcom continued to discuss the great potential that is present in Hong Kong while stressing the importance of suitably preparing your business prior to attempting export. If you missed out on the Introductory Sessions, you can still be a part of the Project which will culminate with a Capabilities Mission to Hong Kong in August attended by a number of successful applicants following the upcoming Pitch to Export Days in Sydney and Melbourne. But first things first, the next step in the Common Threads journey is to build some solid foundations and understanding of conducting business in Hong Kong and the strategies involved with entering this new market. Common Threads - Export Readiness Seminars are being held in Sydney and in Melbourne in the coming weeks. If you feel as though your business is ready to take the next step toward export, we encourage you to come along to these events to contribute to your existing understanding and readiness, as well as to provide you the opportunity to ask questions and engage in relevant discussions around exporting to Asian Markets. In the spirit of collaborative action, your existing insights may also assist others on their way to export readiness. If you are not ready for export, these seminars will be invaluable in sharing information about the necessary steps to deliver you to this point of potential growth. If you have no idea where you are with your business in terms of export readiness, these seminars will certainly clarify some questions you may have around export and support the beginnings of this journey for you and your business moving forward. Sydney's seminars will be held as a full day event on Tuesday 12 May. For more information on the Sydney Seminar Series, or to register for one or all of the seminars, see here. Melbourne's seminars will be held over three (3) weeks on Wednesday 13, 20 and 27 May between 6:00pm and 8:30pm. For more information on the Melbourne Seminar Series, or to register for one or all of the seminars, see here. These seminars will lay the foundation for businesses to develop solid and strategic export plans for entering the Hong Kong market. Following the seminars, applications will open for businesses to attend a 'Common Threads Pitch to Export Day' event in either Sydney or Melbourne. Successful applicants will be lead on a Capabilities Mission to Hong Kong in August where they will showcase their collections and be afforded introductions and networking opportunities in order to scope potential in this new market. We are so excited about this project moving forward and really look forward to meeting and working with you along the way. Find more information on the overall Common Threads project here. Find more information on the Export Readiness Seminar Series here. Find more information on the Pitch to Export Days here. Find more information on Export Support here. If you have any enquiries regarding the project, send an email to info@tfia.com.au and we'll get back to you!